A journey from more to less. 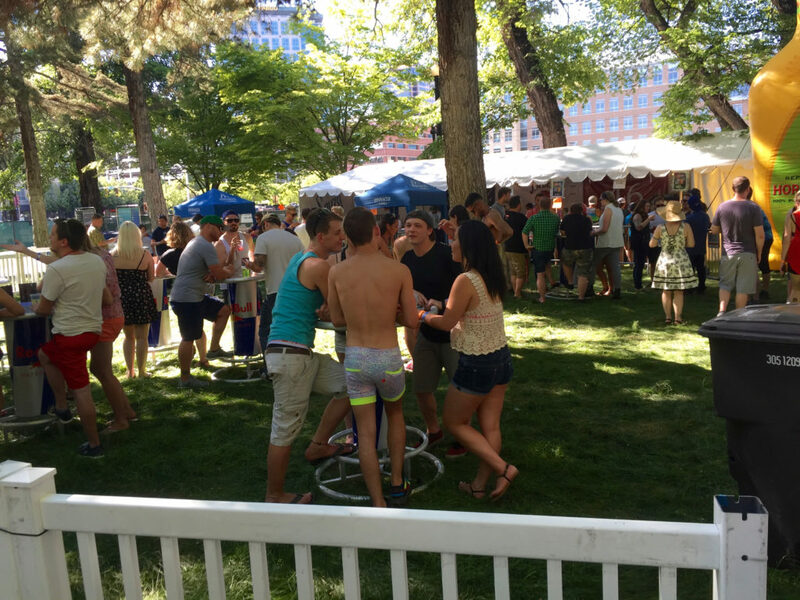 A short post to show my out-of-state friends how wacky Utah’s liquor laws are. 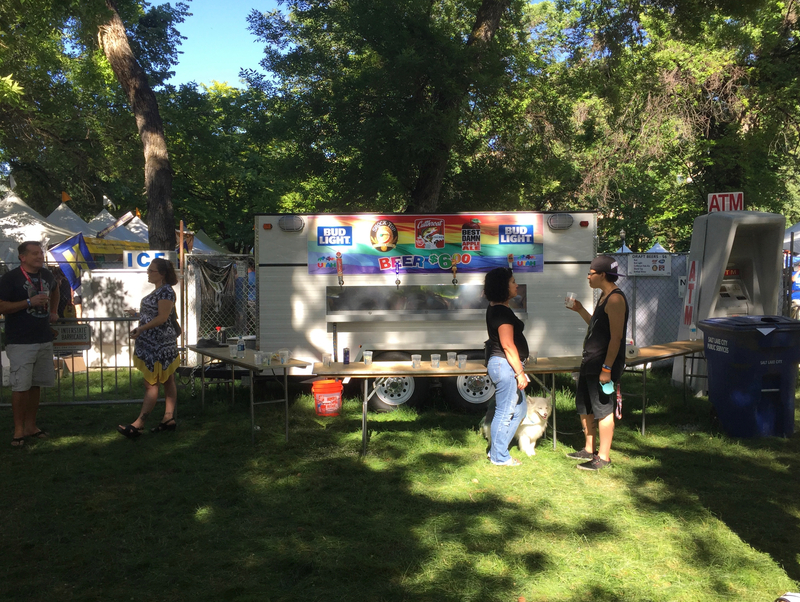 In this instance I’m at the Utah Pride festival where beer is being sold and can be carried within the confines of the fenced off area of the festival. There are kids, families, dogs, etc. roaming free. Some with beer, some without. Then there are two fenced off areas where you can buy cocktails, wine and beer. In these areas you will not find anyone under the age of 21 as they are not permitted. I don’t think I saw any dogs either. Perhaps due to the complications of calculating ages in “dog-years.” Perhaps it was just timing. While I don’t agree, I can understand that there might be some reasoning behind keeping children out of the cocktail area. Perhaps from an enforcement effort it is simply too difficult to tell if someone underage is drinking when you can’t quickly identify the drink in that person’s hand. I really can’t think of any real solid reason though. At events like Park Silly, the participates drink cocktails, wine and beer in a large portion of the blocked of street where children and dogs roam free. Whatever the reason, we’ll give the benefit of the doubt and assume there’s something valid we should be concerned with here. Lets get to the real silliness of the situation. 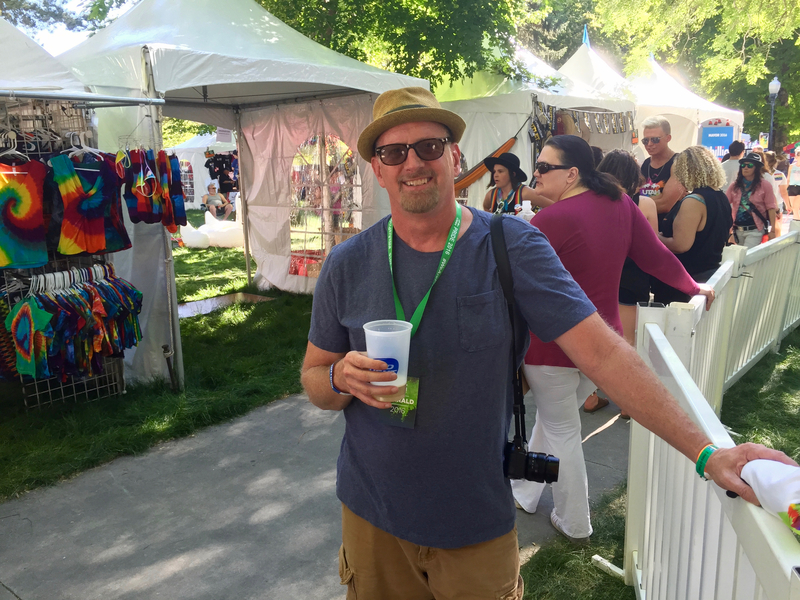 This picture is of me in the “beer area.” Where everyone is allowed to roam freely. The real sinners over there drinking those cocktails & wine. Thank God they’re confined. They’re out of control. Do not get a drink if you plan to leave this area. What the legislature, with their infinite wisdom, didn’t realize is that this actually makes people drink faster as they don’t like being restricted and therefore consume their drinks in a hurry to be able to cross unnecessary and silly borders. As I did leaning on that fence. This has been this weeks episode of silly liquor laws.